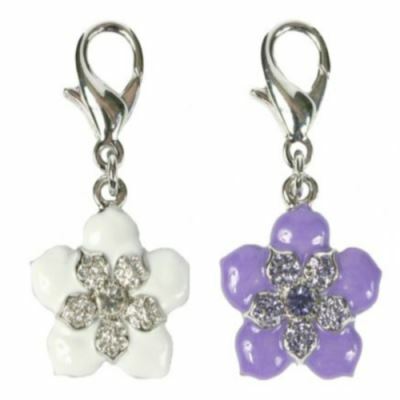 This quality Flower Dog Collar Charm features genuine Swarovski crystals embedded in an enamel flower petal setting. The Lobster Claw Clasp makes it possible to hook the pendants on the D ring on your pet's collar, on your key chain, just about anywhere. Great accessory for pets and their owners!